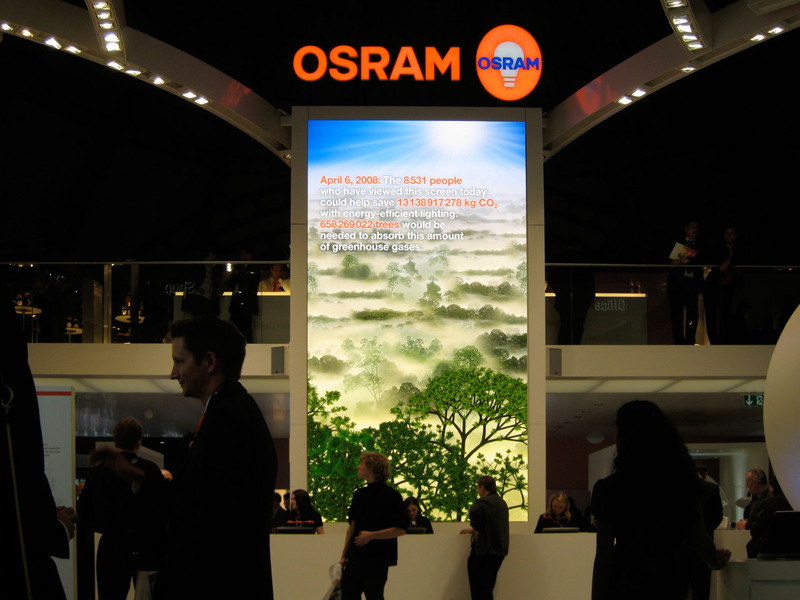 An interactive screen display was developed for the OSRAM stand at the light+building trade fair in Frankfurt in collaboration with ART+COM. Climate protection being the theme of the installation, each visitor is estimated to have the decision making power on over 1,540 tons of CO₂. This amount could be potentially reduced by implementing more efficient lighting. 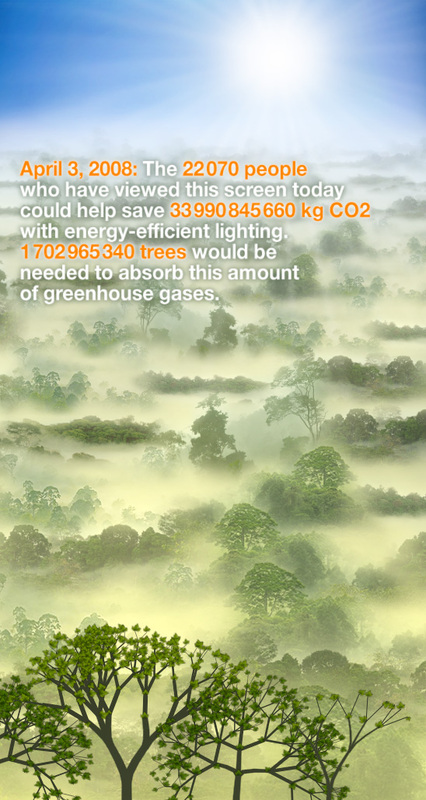 In order to emphasise the influence each individual has on the climate change, the number of trees necessary to compensate this CO2 emission is displayed. 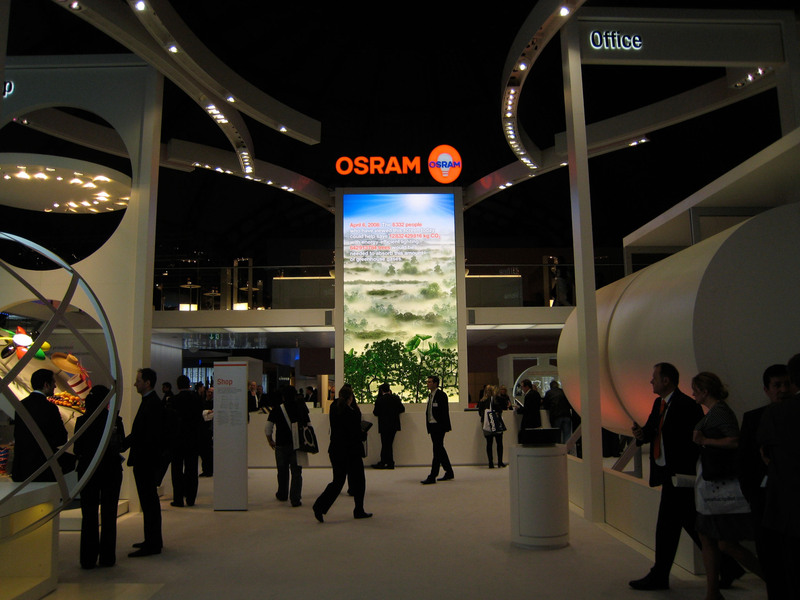 A tracking camera records the number of visitors who enter the OSRAM stand in real time. Every new visitor triggers the growth of a new tree in the foreground of the screen. As the number of visitors increase the tree thicket gets denser as well. 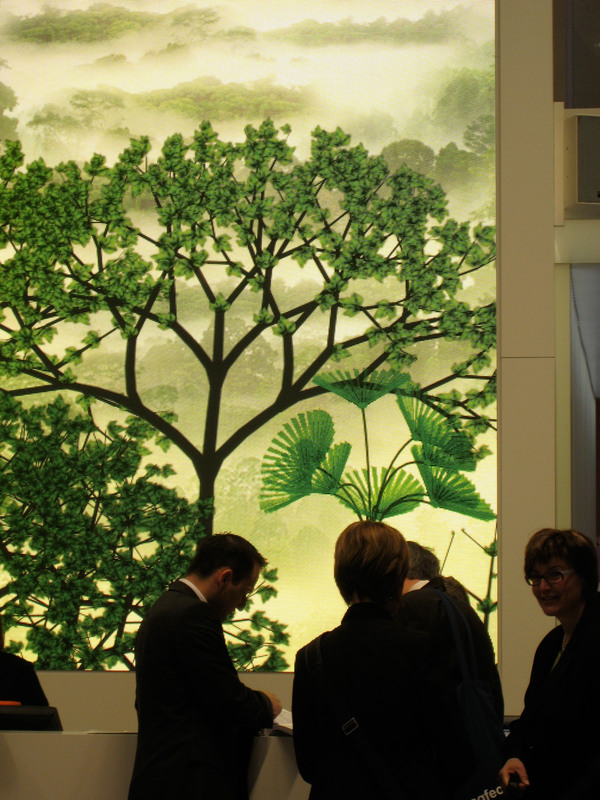 The total number of viewers on one day, their CO2 saving potential and the corresponding number of trees are displayed on the top part of the LED screen.